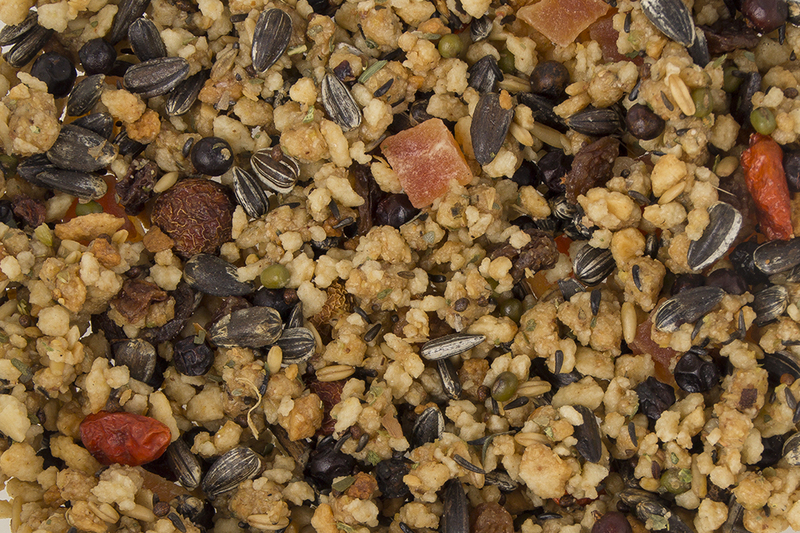 A moist, ready-to-use and very tasty softfood of excellent quality. 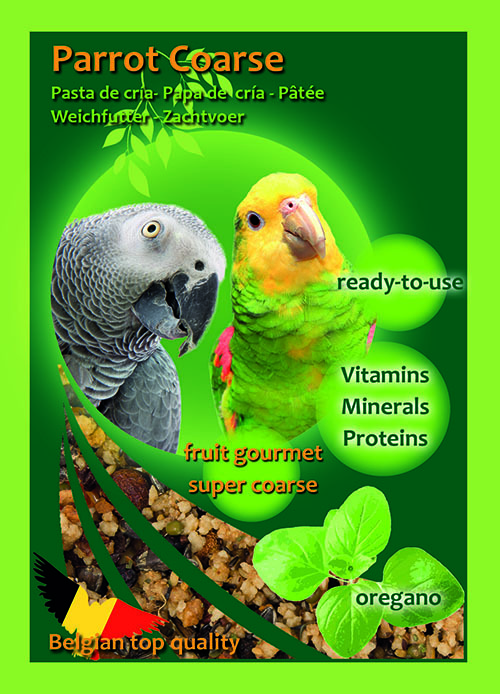 The extra coarse structure is very attractive to parrots and parakeets. With a scala of fruits and seeds. Bakery products, fruits (20%), seeds (15%), derivates of vegetable origin (0,5% oregano), sugars, oils and fats, cereals.